I picked up The Saboteur back in June on an impulse purchase, it was on special and it looked like it could be fun. Then I checked a few reviews and saw that the developer had gone into liquidation, there had been major problems with multi-core systems and ATI graphics cards, and reviews criticised the ‘platform mechanics’ and animation. So, with some trepidation I booted up the Xbox and got ready to liberate a Paris under Nazi occupation during the Second World War (1940). 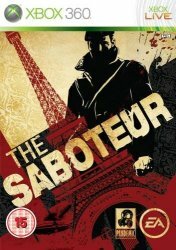 The Saboteur is a third-person sneaker/climber/shooter in an open world environment which gives the feel of a large area well populated with Parisien civilians, the French Resistance and the ever watchful Nazi/SS occupiers. You play a devil-may-care Irishman, Sean Devlin, working as a racing car mechanic for a French father-son team, who get on the wrong side of a Nazi colonel precipitating the key motivator for the storyline, Sean’s revenge on the Nazis. After the introduction to the game, driving, brawling, travelling around, etc, you enter Paris where the rooftops become your avenues, affording a quick and mostly invisible path to perform your acts of sabotage on the Nazi infrastructure. Sean can climb on pretty much any building, reaching some wonderful vantage points, even the top of the Eiffel Tower itself! Sean can also disguise himself to sneak into close proximity with his targets, and when spotted a very GTA-style chase circle pops up that you have to escape from (by clearing the area, or using a hiding spot). Perks are granted for particular acts which unlock various abilities or weapons. Proceeding through the interesting story missions unlocks new areas (you can travel anywhere on the map before unlocking them, unlocking them gives you travel papers to enter without sneaking/running, and opens up Resistance bases to re-arm/store vehicles), and new weapons/vehicles. One of the most interesting mechanics of the game is that the visuals start in black-and-white signifying the Nazi occupation, and as you complete story and side missions occupied areas are ‘inspired’ and become filled in with colour. You will also notice the car radios (which have a great soundtrack) play a more muted tone in occupeid areas, and the weather is usually dark/rainy, all helping provide the atmosphere, the feeling of oppression and subsequent release as you inspire more areas. 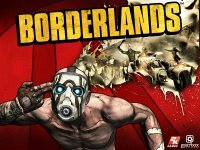 I found this game great fun, I spent a lot of time just tooling around the rooves of Paris to see how far I could climb or knocking off random Nazi’s or hitting free-play targets. With 50 story/side missions and over 1,300 ‘free-play’ targets there is a lot to do. Well worth the price that you can pick it up for now although probably better on the consoles than PC. I’ve just finished playing Gears Of War 2 on the XBox 360. I usually avoid FPS games on the console because I am a Keyboard/Mouse player and cannot get used to the controller but someone who recently got a 360 wanted to lend it to me, so I thought I’d give it a go. The visual style is great; from gritty, city streets under siege, to deep underground tunnels, and hidden complexes, as well as outside scenes in mountains and forests. Audio is exceptional; well voiced characters, well placed atmospheric sound effects, and some booming weapon sounds, help to get you in the mood. The AI is good; whilst most grunt enemies use cover, and pop out to fire at you, they occasionally ‘displace’ so you can’t wait for them to pop up again at the same point and fire. Some heavier enemies just walk straight at you, but this fits the style of the semi-mindless ‘tanks’. Gameplay is pretty good; the variety of action really helps to change this game from what could have been a ‘shooter on rails’ to a fun challenge. You operate on foot on your own, with a partner, or with a small group, at different points. There are several vehicle sections, with some quite unique ‘vehicles’ later on 🙂 The choice of weapons allows for a range of tactical choices, from up close and personal to sniper range, with the ability to pick up dropped weapons so you can chop and change as required. All in all, I had about 20 hours of fun running through this on normal mode. I’m strongly considering buying this and the first game to go back through it at a harder level. Overall: Gears 2 gets an 8 out of 10 from me. I had planned a productive day, but made the mistake of putting Spaced on as ‘something in the background’…have now finished all 3 discs of the Collector’s Edition and done diddly-squat else today…oops.